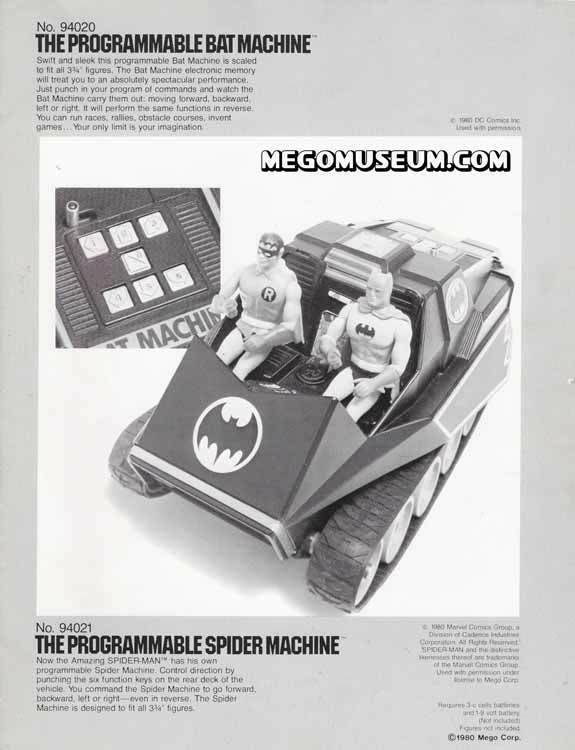 The Mego Pocket Superheroes got an electronic boost by adding these progammable vehicles to the fold. Essentially these vehicles were similiar to the "Big Trax" marketed by Milton Bradley Electronics around the same time, however Mego did a clever thing and tied them to their Superhero license. These vehicles were sold by Ensueno of Mexico as well, as evidenced by this boxed "Spider Trax" vehicle in our galleries.